I haven’t posted a PartyLite product in a while. Tomorrow is the last day to place your order to support me in my new venture, which will allow me to receive my starter kit. 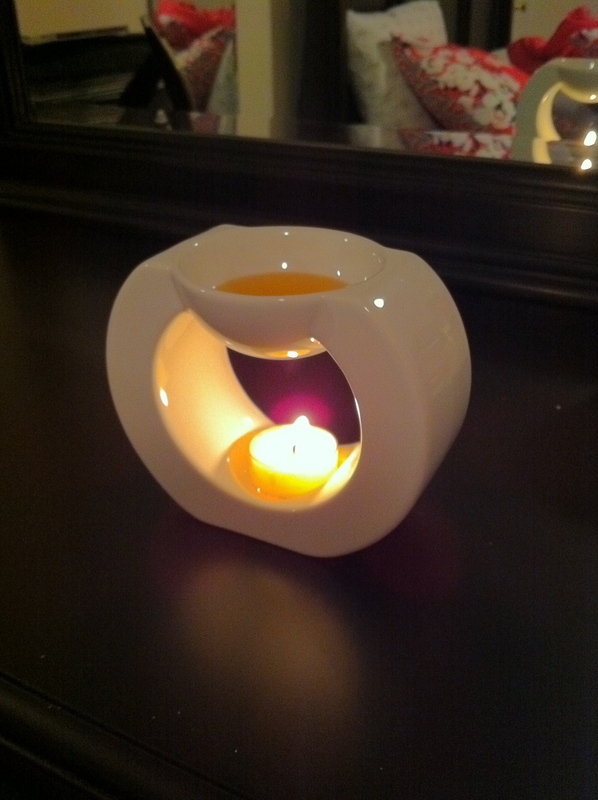 This is the White Gaia Fragrance Warmer. I’m burning a Banana Leaf scented tealight with a Banana Leaf “Scent Plus Melts” on the top. The “Scent Plus Melts” completely liquify, they’re very fragrant and can burn for what seems like forever (80 hours of burn time). Sooooo… SHOP NOW! Madeline Rodriguez is my friend who is showing me the ropes so that’s why you’ll see her name at the top. When prompted (usually when you’re adding an item to your cart), please type in “Sherece Black” for hostess. Thanks in advance for your support. Tomorrow I’ll post my favorite product of all time!